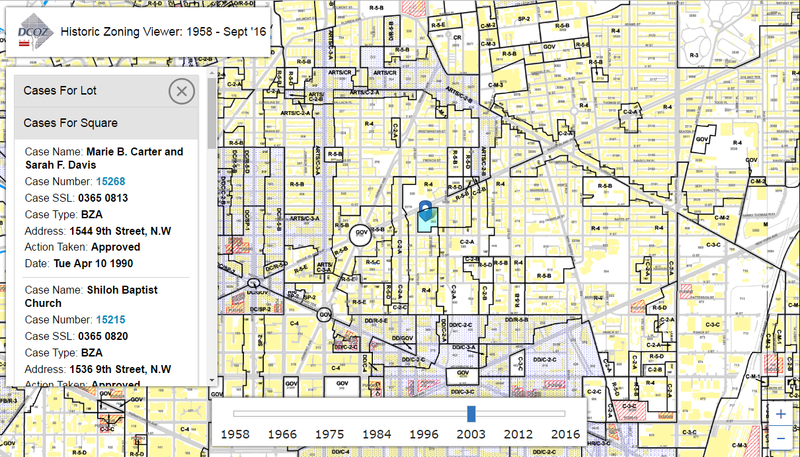 Blue Raster worked with the DC Office of Zoning (DCOZ) to compile scanned versions of the 1958 zoning data as it evolved over approximately 60 years to present day. The data was georeferenced and converted to digital services and then displayed through an interactive application that allows users to choose a year of interest and see which case records happened on or before that year. By investigating the evolution of the zoning information for a property, insight can be gained into the when and why a change occurred. By using a responsive design, the information is now available across a number of devices and browsers. Be sure to explore the history of your zone today!